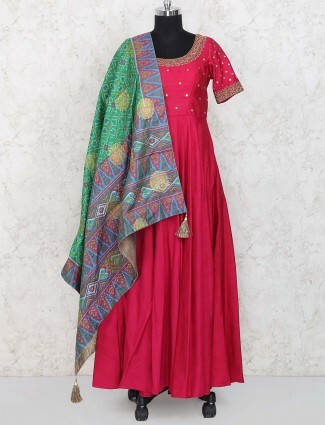 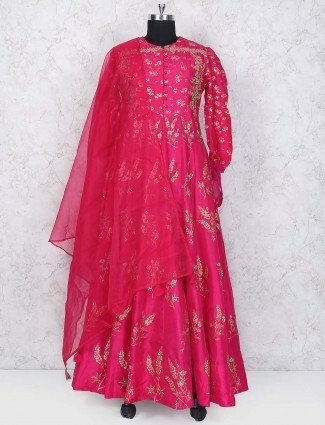 You look gorgeous when adorning this magenta hue floor length anarkali suit in festive and ceremony. 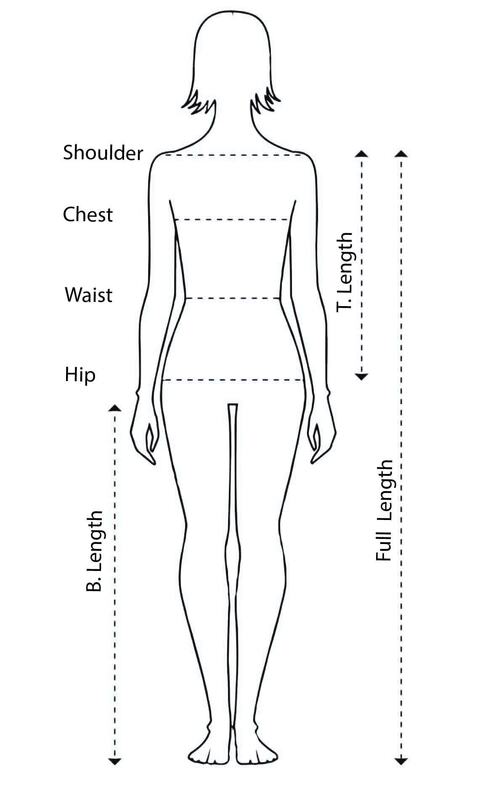 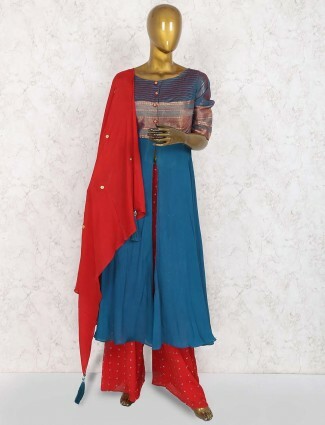 Featuring stand neck and full sleeves design. 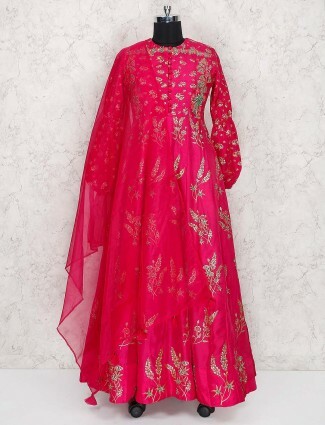 Comes with dupatta.